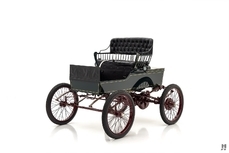 General description : From George Pierce’s first single-cylinder Motorette in 1901 to the final twelve-cylinder car that rolled off the line for Karl Wise in 1938, the Pierce-Arrow name remained synonymous with quality, craftsmanship, and luxury. Along with Packard and Peerless, the Buffalo, New York firm build America’s finest luxury motorcars, earning a loyal clientele along the way. Despite the impeccable reputation, Pierce-Arrow, like many of its high-end contemporaries, struggled amid challenging economic conditions. When George Pierce and many of his colleagues retired shortly after World War I, new owners took over the day-to-day operations. Under new management, Pierce-Arrow became slow to respond to buyer’s wishes, and their products soon became stale and dated. 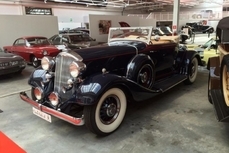 Help arrived in 1928 when Pierce Arrow’s president met with Albert Erskine of Studebaker to negotiate a merger. The resulting partnership allowed Pierce-Arrow to operate independently and provided them with the cash necessary to finally introduce their long-overdue L-Head inline eight-cylinder engine as well as take advantage of Studebaker’s vast dealer network. Sales improved, albeit briefly, and in 1931, Pierce-Arrow joined the multi-cylinder race with a powerful V12 engine designed by chief engineer Karl Wise. Despite the early promise, the partnership between Studebaker and Pierce-Arrow unraveled quickly. Studebaker fell into receivership in 1933, and Pierce was cut loose; left to struggle as an independent luxury car maker in the midst of the Great Depression. With sales in free-fall, Phil Wright was brought aboard as a consultant to design a new flagship that would show the world what Pierce-Arrow could do. Write produced a stunning, streamlined sedan based on the twelve-cylinder chassis, dramatically named the Silver Arrow. 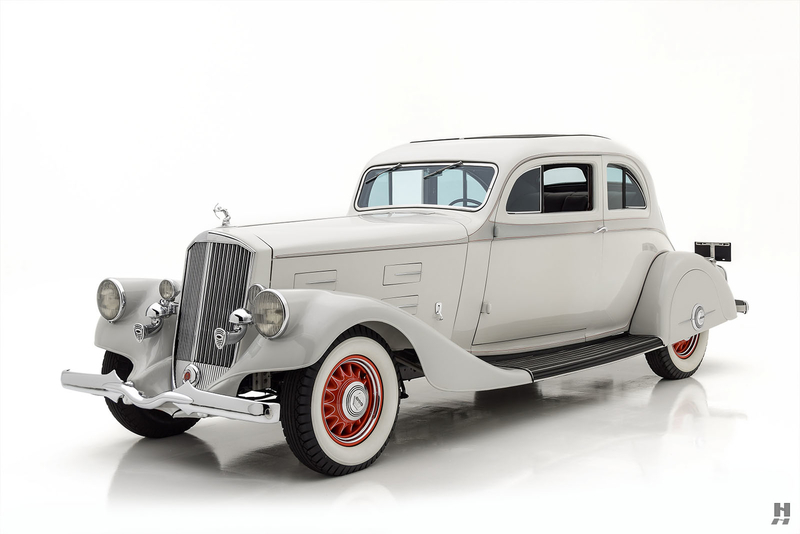 It made its grand debut at the 1933 New York Auto Show with the slogan “Suddenly it’s 1940!” The sensational machine featured fully enveloped front fenders, no running boards, and a distinct fastback roof treatment with a triangular rear window opening. It was a masterpiece of modern design; however, the shocking $10,000 price tag kept even the wealthiest customers away during the austere early 1930s. Only five were built, although the highly advanced styling went on to influence Pierce-Arrow’s regular production cars later in the decade. In 1934, The Silver Arrow name reappeared on a flagship coupe which drew heavily from the Phil Wright-penned original. 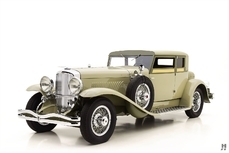 Clearly adapted from the show car, albeit with more conventional features, the two-door coupe was available on the eight-cylinder or twelve-cylinder chassis. Unfortunately, neither the show car nor the production version could save Pierce-Arrow, and in 1938, the company folded, and its assets were unceremoniously sold off. Despite Pierce-Arrow’s Depression-era struggles, they continued to produce some of the most beautiful cars of the time, exemplified by this marvelous 1934 840A Silver Arrow Coupe. 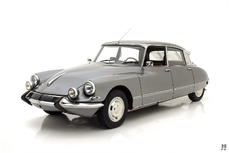 Presented in a handsome, understated two-tone dove gray livery, this Silver Arrow is a lovely example with a matured, well-maintained older restoration. 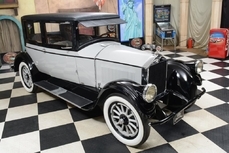 The Silver Arrow was one of just three body styles available on the 148-inch wheelbase chassis, and this car is one of only 1,740 Pierces produced in total in 1934. While the production Silver Arrow is somewhat more conventional than the show car, it is still a dramatic design, and this car, with its lack of side mount spare wheels and light color scheme, stays true to the original concept. The paintwork is in good condition all around, showing a few minor touchups and imperfections that are consistent with the age of the restoration. 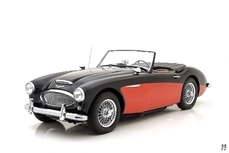 Red artillery wheels provide a nicely-judged visual pop, which repeats with the red coach stripes on the body. As with most Pierce-Arrow bodies, the Silver Arrow was built in-house, and it proudly displays a “Body by Pierce” badge on the cowl. 1934 models used markedly less brightwork than before, however, the bumpers, grille, wheel décor, and other various trim parts are excellent, showing only minor polish marks in the finish. Thanks to the added length of the wheelbase, the interior of the Silver Arrow coupe is quite spacious. Individual front seats and the generous rear bench are covered in gray broadcloth and piped in black. Carpets and headlining are trimmed to match. The upholstery is in very good condition, showing minimal wear and a slight broken-in character. Real wood and wood-grained metal trim surround the cockpit, in good condition all around, with only some minor flaws found on close inspection. Original Pierce-branded instruments present well, and the controls and switches appear in good order. The L-Head inline-eight displaces 385 cubic inches and delivers its 140 horsepower with exceptional refinement. Even in the engine compartment, Pierce-Arrow’s typical restraint is evident. Finished in gloss black with chrome hardware, the presentation is elegant and straightforward. The engine in this car remains in sound and attractive condition, appearing tidy, nicely maintained and with a light patina from use. The Pierce-Arrow Silver Arrow coupe is one of the most distinctive and captivating designs of the period. 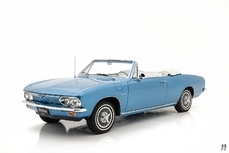 This car’s comprehensive, well-maintained restoration has matured nicely, making it a smart and stylish choice for CCCA CARavan Tours and casual weekend drives. 1934 Pierce-Arrow 840 A is listed for sale on ClassicDigest in St. Louis by Hyman Ltd. for $219500.